MOD-RGB is a completely open-source module suitable for controlling LED strips. The LED strips might be of the same color or of different colors. 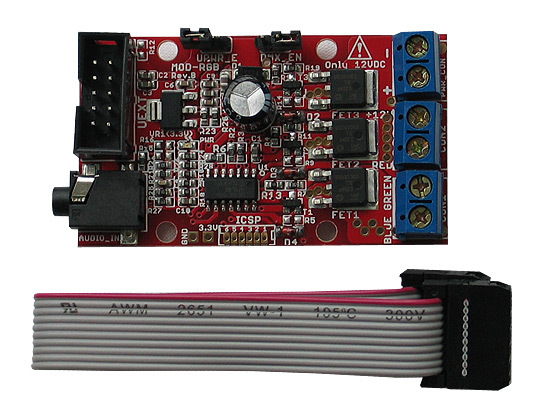 The board can be controlled via I2C or DMX interfaces (led on the UEXT connector). 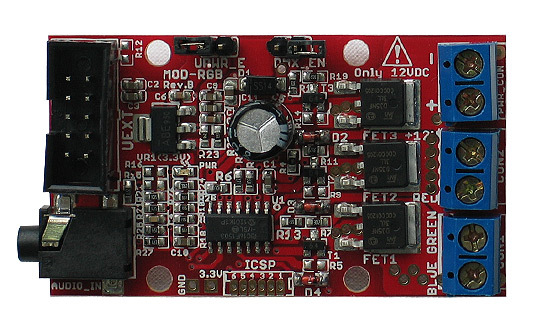 The board has short-circuit protection and can provide up to 5A to each strip channel. 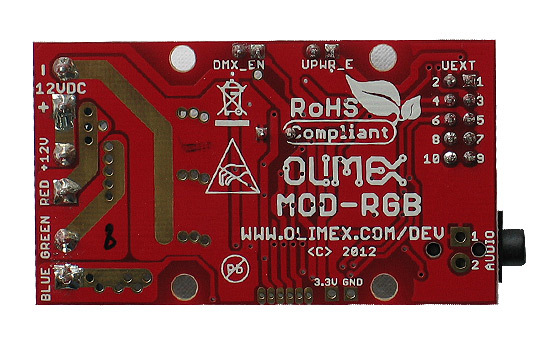 Olimex provides examples for interfacing MOD-RGB. The unit is compatible with LED strips with three separate data lines - one for each color – RED, GREEN and BLUE.